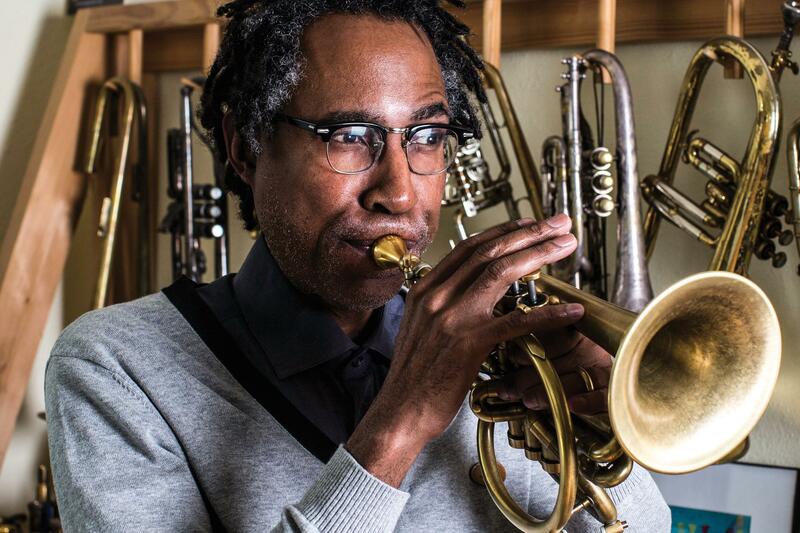 During the last decade, there has been no jazz quintet more impressive than the one that trumpet and cornet master Ron Miles assembled to make 2017's poignant 'I Am a Man'. Miles - a versatile and especially expressive player - had already helmed two wonderful trio records with guitarist Bill Frisell and drummer Brian Blade, two of the most sophisticated voices in jazz. But given the country's current state of affairs, Miles felt these songs deserved the heft and the magnified sense of urgency of a larger band. He invited two musicians who understood this dimension of the project, pianist Jason Moran and bassist Thomas Morgan (at Duke, replaced by Scott Colley), to record this new composition. In 2017, NPR raved that "no album struck a better balance of beauty and urgency." Taking its name from the slogan that protesters took up during the landmark 1968 sanitation strike in Memphis, 'I Am a Man' continues the vital African American musical tradition of using music as a means of protest and an assertion of humanity. These tunes wrestle with family turmoil and religious perseverance, with images of inadequacy and pride. The quintet patiently works through these seven compositions, with their elegantly arching melodies sometimes collapsing into moments of exhilarating dissonance. Understated, elegant, and assured, these players always pull through, arriving time and again at a place of profound hope.